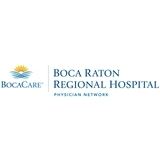 BocaCare (Deerfield Beach) - Book Appointment Online! BocaCare asks that all patients please fill out their check-in documents online when booking an appointment. At BocaCare we believe your time should be spent with our medical professionals, not with other patients in a reception area or by yourself in a treatment room waiting to be seen. That’s why we’ve developed a unique team approach and inter-office communications system for patient care that minimizes the wait time in our treatment rooms and maximizes your time spent with our nurses, physicians and specialists. No gaps. No waiting. Just a seamless transition of caregivers during your visit. It’s what makes BocaCare distinctive. Pleasing staff. Waiting area brand new and comfortable. Doctor was thorough, kind and answered all my questions. Appreciated that X-rays were taken at his office and read immediately. Wish Dr. Weatherall considers practicing in Boston...where I live. Extremely pleased with the visit. My son, Chandler, was the one to see Dr. Perry. I felt he did an extensive exam. I would definitely recommend him. Dr. Hysa put me at ease as I was nervous. She was empathic and understanding. I need the control and she didn't fight me. I felt inspired by her to make change and I left feeling optimistic. She was very thorough and I found myself telling her things I had no intention of telling. This practice sees patients at 3 locations.